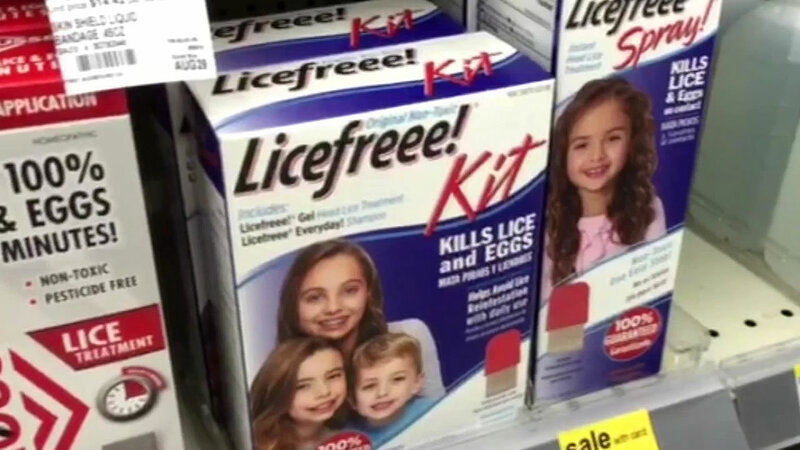 SAN FRANCISCO (KGO) -- Head lice is now resistant to over-the-counter treatments in 25 states, including California. As Bay Area students head back to school in the next few weeks parents have a new fear -- a drug resistant, super strain of head lice. Ben Kupferman just got back from summer camp and brought home some unwanted guests. "I was just scratching my head and the lice came out on my finger, crawling around," said the 17-year-old. Kupferman got a comb-out treatment at Hair Faries, a one-stop shop for head lice removal. "We have been getting a surge of clientele," said Kyle Voung, a technician at Hair Fairies. Voung says lots of kids and adults are coming here for non-toxic lice treatments because drug store remedies haven't worked to kill the so-called superbugs. "We know the bugs are building resistance to the strain of medicine that is present over the counter," Voung said. New research from the American Chemical Society says head lice bugs are becoming resistant to drugs, which use a type of insecticide to kill them. In San Francisco, students with live head lice are sent home from public schools until it's gone. The policy in other districts varies. Kupferman's dad Noah and his whole family got checked for lice as a precaution. "There's a creepiness about it... that you just want to make sure that everyone gets checked quickly," Noah Kupferman said. Lice treatments at centers can cost hundreds of dollars, but is often covered by health insurance.